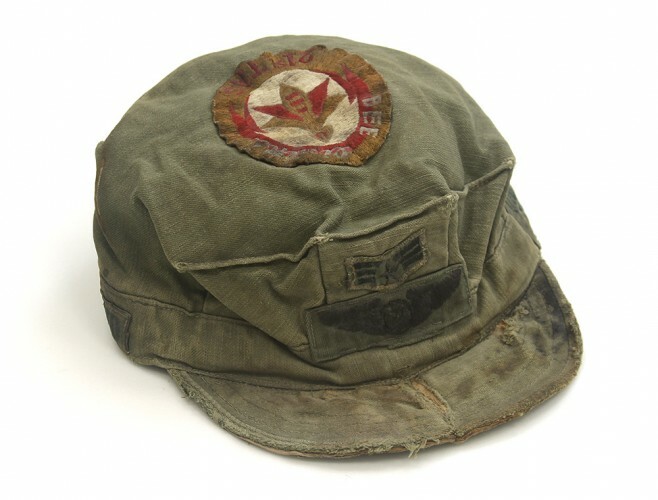 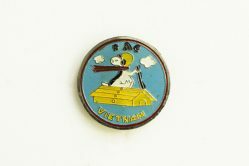 This well-worn cap was worn by Jon Andrews, a loadmaster during the Vietnam War who had 2,500 flying hours in Southeast Asia. 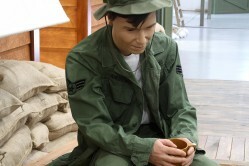 The cap is a U.S. Marines style but was also sometimes worn by Air Force servicemen. 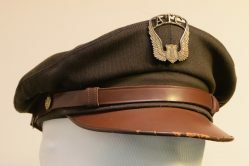 The hat has embroidered buck sergeant rank and an aircrew member aviation badge on the front. 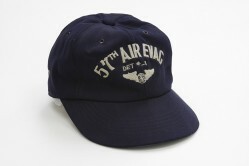 Around the back is embroidered “Vietnam 70-72,” “Delaware,” “Jon,” and “Thailand.” On the top of the cap is sewn a 21st Tactical Airlift Squadron patch. 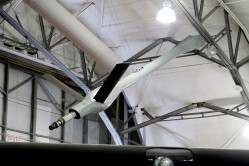 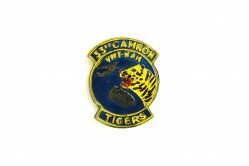 Nicknamed the Bee Liners, the squadron flew C-130 Hercules aircraft during the Vietnam War.